Searching for an easy but appealing way to hide something in your yard? Looking for more ideas for your DIY landscaping project? Look no further than our Outdoor Essentials® Large Rock. This hollow faux rock can cover tree stumps, septic cleanouts, well heads and more. They are fake, but look real, and will add dimension and style to your yard or garden. Since they are curvilinear in shape, they will stay put without stakes. 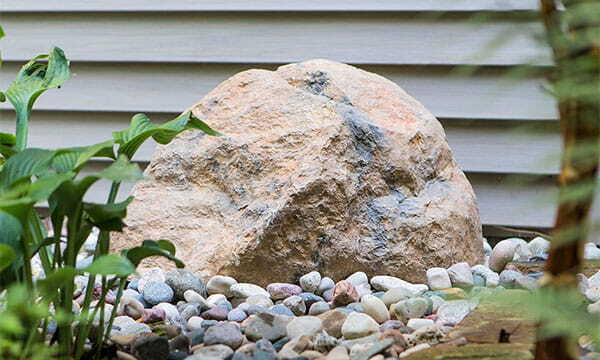 The Outdoor Essentials® large rock weighs under 9 pounds, so YOU can install it. Wherever you want, whenever you want. You have the power. Go rock your yard!